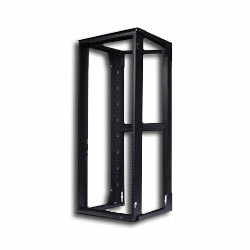 Wall mount swing frame used to conserve floor space when a full-height floor standing rack is not required. Designed to hold heavy equipment in controlled rooms where open access to equipment is required. Black only.